Russian President Dmitry Medvedev proposed on Saturday that Vladimir Putin run in next year's presidential election, signaling they have agreed the prime minister will return to the post he held for eight years until 2008. Medvedev also agreed at a congress of the ruling United Russia party's that he would head its list of candidates in a parliamentary election on December 4, indicating that he could enter the government after the elections. "... I think it would be right for the congress to support the candidacy of the party chairman, Vladimir Putin, to run for president," Medvedev said to cheers and applause from thousands of United Russia members. 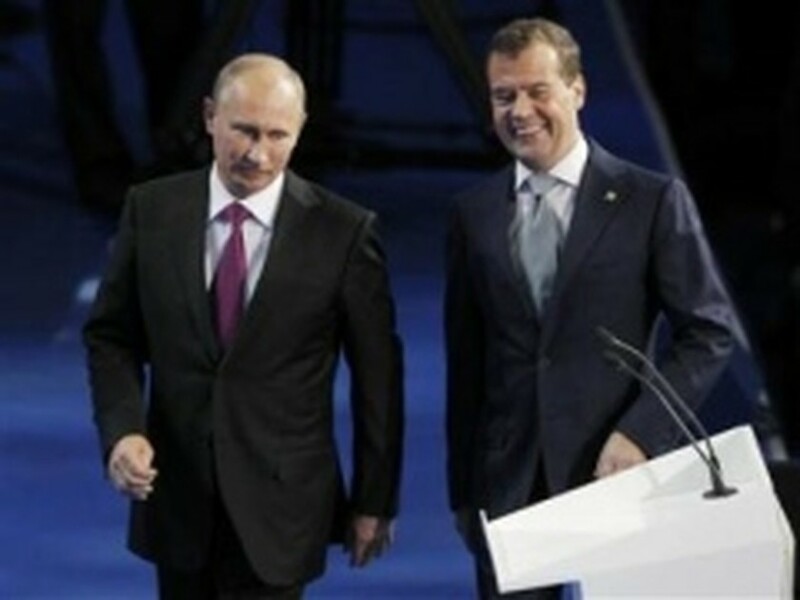 The announcement followed months of speculation over whether Putin, 58, or Medvedev, 46, will be president next year. Although Putin did not immediately say whether he would accept, Medvedev's comments made clear they have agreed that he will run. Medvedev's decision to accept a proposal to lead Untied Russia's list of candidates into the election to the State Duma lower house on December 4 indicated the president is preparing to take another role -- in government or parliament. Putin was president from 2000 to 2008 but steered Medvedev into the Kremlin in 2008 because he was barred from a third successive term by the constitution. Some economists have said the return of Putin, who is more conservative than Medvedev, could herald an era of economic stagnation. Others have said there is more difference in their style than their policies.